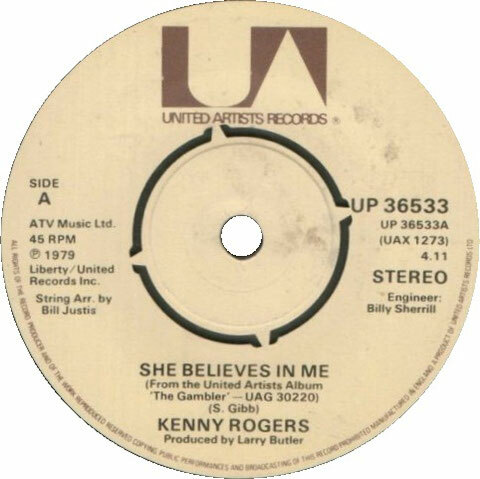 Kenny Rogers performs "She Believes In Me"
"She Believes In Me" is a song recorded by American country music singer Kenny Rogers. It was released in April 1979 as the second single from his album The Gambler. 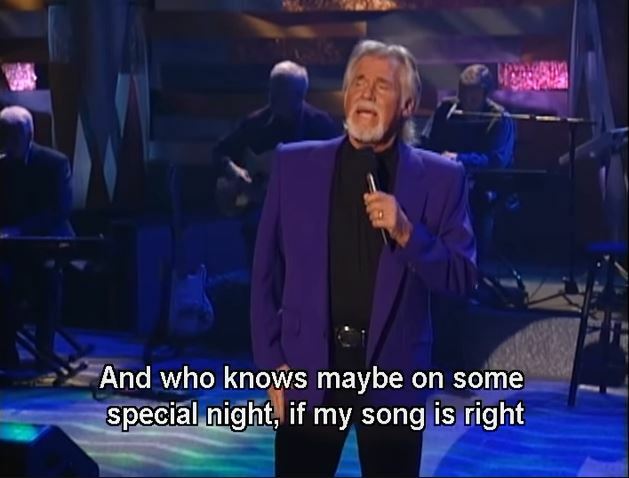 The song was written and first recorded by Steve Gibb (not the Steve Gibb who is the son of Barry Gibb) and is the tale of a songwriter who has a beloved who supports him, although he sometimes wonders why. Rogers was reaching the peak of his career at this time, and "She Believes In Me" became one of his biggest crossover hits in the late spring of 1979, reaching number one on the Billboard Country Singles chart. "She Believes in Me" also peaked at number five on the Billboard Hot 100 pop singles chart, and number one on the Billboard Adult Contemporary chart. It was also a minor pop hit in Great Britain reaching number 42.